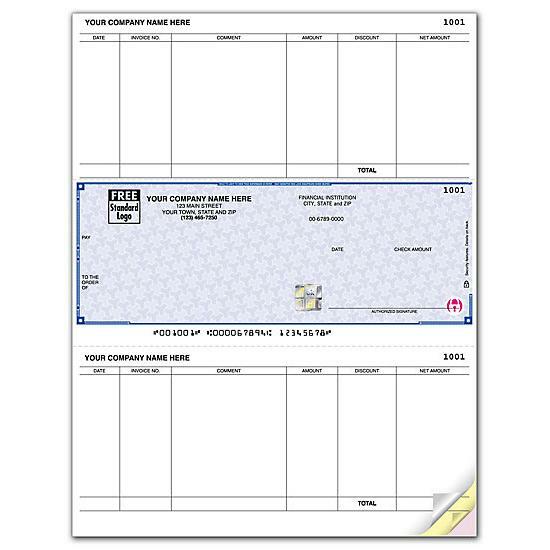 Item#: SDLM227 Size: 8 1/2 x 11"
These laser checks are compatible with Microsoft ® Business Solutions, Microsoft Dynamics, Great Plains ® and many others. 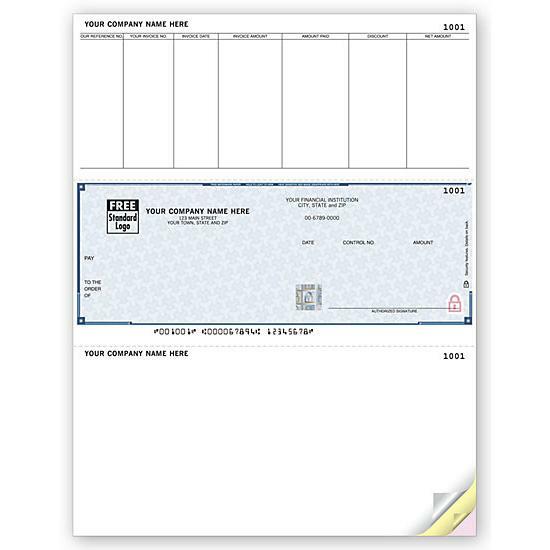 Handle all your accounts payable without the cost of multiple check stocks - ideal for firms with a single checking account!Trusted by 7,000 financial institutions nationwide, the High Security Laser Checks offer the highest level of check security and include NEW security features, making it the most secure check available.Deter, Detect and Defend against check fraud with High Security Checks, now with NEW innovative security features! 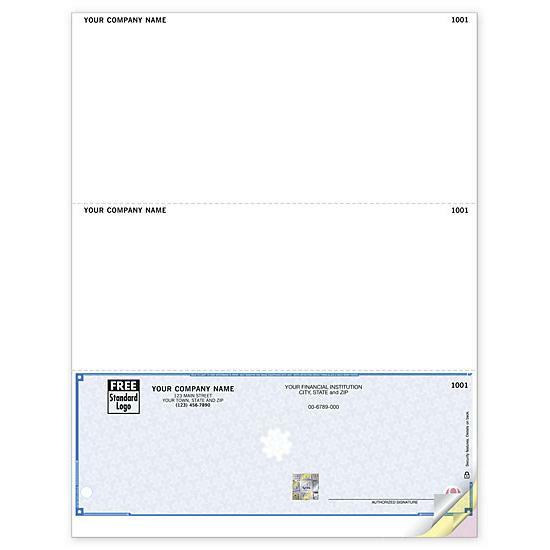 Checks remain the payment method most frequently targeted by criminals.